The lion is a predator that is a symbol of power. Often the lion is called "king of the jungle". We can see lions in savannas, grassland and woodlands. 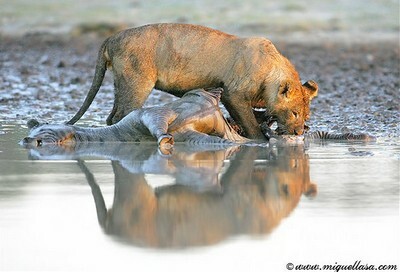 Find more lions images in the gallery of Photorena.